Defending the final frontier for 29 years! The oldest FREE Star Trek Fan Club in Utah! If you haven’t heard Disney’s “Let it Go” from the recent movie Frozen then you’ve been hiding under a Horta. 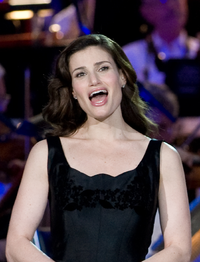 I’ve got a special place in my heart for the Broadway talents of Idina Menzel! From Rent, to Wicked, and now a Disney Princess…. gotta love that powerful voice. Do a search on You Tube for “Let it Go” and you’ll see almost 11 million results. A few weeks ago two You Tube artists named “Debs & Errol” released this Parody of “Make it So” to Disney’s tune with a Star Trek, First Contact twist! The oldest ship in the fleet!